Count on our cleaning company in Marietta, GA, for your residential and commercial cleaning needs. Whether you need weekly housecleaning or regular office cleaning, we have you covered with our two businesses—Bright Touch Maids and Bright Touch Janitorial. Our team of certified and experienced cleaners will keep your home or office tidy and spotless with our range of services. Contact us today to request a free quote. 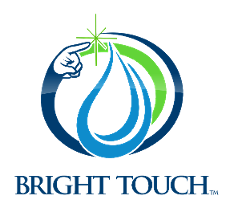 A local, family-owned-and-operated cleaning company, Bright Touch has served the Atlanta area since 1997. We started out as Bright Touch Maids, offering home cleaning services, but soon expanded to offer office cleaning services by forming Bright Touch Janitorial. Since then, both residential and commercial clients have relied on us for all of their cleaning needs, and we've exceeded their expectations by providing stellar service. If your home or office could benefit from a regular cleaning service, contact us today. We will create a customized cleaning plan that takes into account your specific needs and budget.